Clarity and transparency on what is expected from regulators are crucial. The regulator need to be proactive in identifying the practical steps that will be taken to meet these expectations, including through through publicly available corporate and strategic plans that detail in a clear and intelligible way what operational modalities and resources the regulators will use to meet these expectations (whether expressed in government statements or legislation). Producing and using performance information is challenging. This information needs to be targeted to the purpose it serves. Information and performance indicators prepared to report on budget expenditures will inevitably tend to focus more on direct outputs and inputs than on wider market outcomes. Simply uploading information onto a website will hardly enhance accountability and transparency. Information needs to be intelligible, clear and user friendly for citizens, to whom all public institutions are ultimately accountable. Regulators are competent and expert actors in the policy making process, building on their in-depth technical knowledge of the sector they regulate. 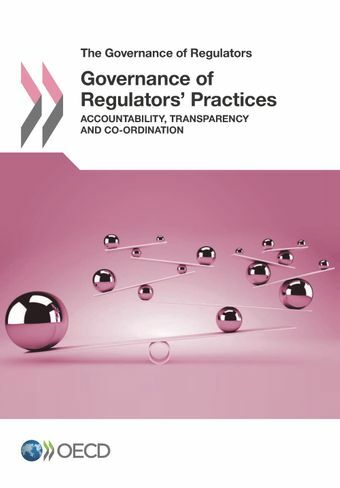 The contributions of the regulator to the policy-making process should be transparent and respect the respective roles of government and regulators. Co-ordination needs to build on some boundaries that define the perimeters of action so that each player regulators, ministries and other government agencies is clear on its role or, when grey areas exist, can clarify these grey areas. Formal agreements and co-operation agreements can set the ground rules on how players interact among themselves. They need to be operationalised through live instruments, such as: co-ordination bodies, ad hoc meetings, and tools for regular sharing of information.